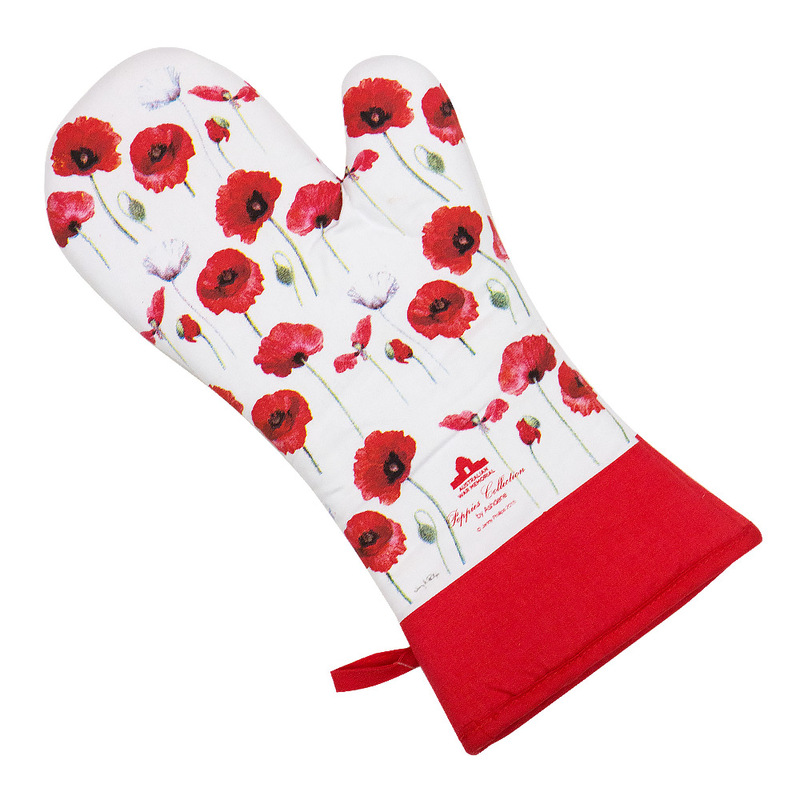 Coming from Ashdene’s Poppies collection – designed exclusively for the Australian War Memorial – the Ashdene Poppies Oven Glove is one piece of kitchenware you don’t want to miss out on. Featuring illustrations of the famous Flanders poppy by botanical artist Jenny Phillips, this item makes for a fantastic commemorative gift or addition to your home. Make sure you don’t miss out on it. Made from 100% cotton with a polyester wadding. Art by leading Australian botanical artist, Jenny Phillips. Features an illustration of red poppies to commemorate the centenary of WWI and the Anzac legacy. Includes a convenient hanging loop.